This is a book dealing with certain arithmetic techniques written by Jose Paul Moretto; who happens to have a very interesting profile, having served in the French Air Force, then going on to work in the R&D of Citroen and eventually, started teaching mathematics in United States. This book deals with two concepts, the Proof by Nine and the MaXima; techniques he has devised to obtain solutions for multiplication and division problems. These techniques are meant for verifying the solution obtained by multiplication or division and ensuring that they have been computed correctly. 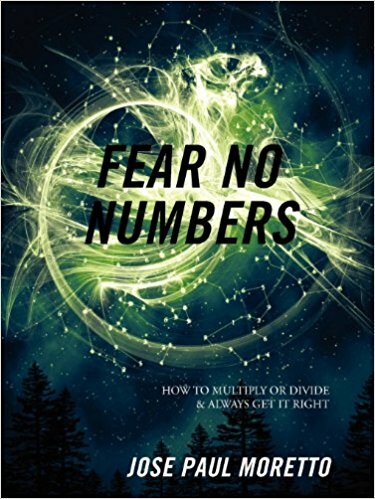 Along with that, the author has also provided with various anecdotes and also has quoted a lot of people to help dispel people’s fear of mathematics. The solutions offered by him were quite simple and very easy to understand and also, quick to execute, when you are to verify the result of your computation in an examination. Additionally, I liked it as to how the author gave an elaborate write-up about how to compute each of his solutions and also provided a simpler method to solve division problems which could be useful for children undergoing primary education. The author promised that by the end of this book, we would not fear numbers and thus, the title of the book does make you develop very high expectations but ultimately, what he has offered as solutions are merely methods to verify the computations which you still do out of fear. Moreover, these solutions seem simple to me as a 23 year old today, but I am unsure as to how a 10 year old would react to learning something beyond what is required and thus, might probably appeal only to maths enthusiasts. Moreover, I had no idea why he had to introduce the concept of amicable pairs considering he was not even dealing with the topic and did not use that anecdote anywhere else in the book. I would conclude by saying that the techniques that he seems to offer are effective, and I might have probably had a more accurate way of checking my answers back in school and I believe that this is an ideal book to be read by children between the age 8 – 12. I would award the book a rating of six on ten.